It's blue and big and square all over! It's a Monkey Mat! A large portable mat the folds into a small bag is perfect for any trip or location. Baby can have a safe and clean surface in all types of situations. We loved that it folded up easily and was light weight to carry. Big brother could help us carry it and lay it out flat. The material is slick and smooth, so it would be a great outdoor or picnic blanket too. The corners are weighted and have loops so you can loop it or hold it down in the wind. We have seen others use the mat indoors, but we liked using ours outdoors best. 4th of July was a hit with the mat and we didn't get eaten up by bugs in the grass! 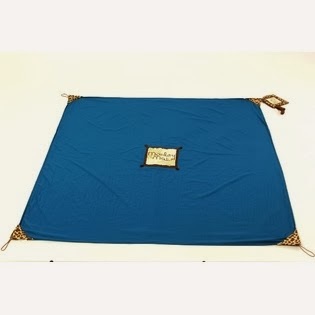 Monkey mats are a great gift idea for moms-to-be or for a seasoned mom with multiple kiddos too! 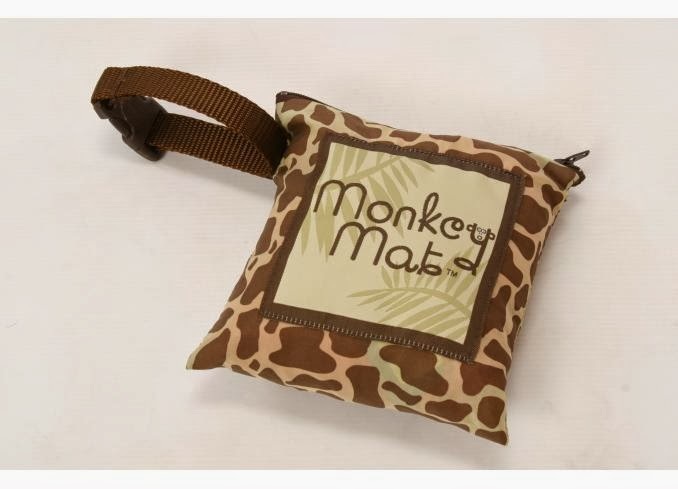 Checkout MonkeyMat.com to learn more about the mat and the company!